We are a leading Manufacturer of o ring face seal 90 degree elbow, o ring face seal fitting tee, o ring face seal cross fitting, o ring face seal straight swivel fitting and o ring face seal elbow from Mumbai, India. ORFS 90 Degree Elbow have been proven to be very effective in eliminating leakage at higher pressures found in today's hydraulic systems. Seal-Lok tube fittings (also known as flat face, O-ring face seal or ORFS fittings) have been proven to be very effective in eliminating leakage at higher pressures found in today's hydraulic systems. 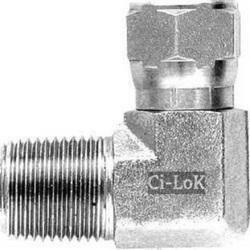 Seal-Lok fittings meet or exceed the requirements of SAE J1453 and ISO 8434-3. Seal-Lok fittings feature a captive O-ring groove (CORG) design for optimal sealing, and prevention of O-ring fall-out prior to final assembly. O-ring face seal tube fittings are available in steel, stainless steel and 316 stainless steel. 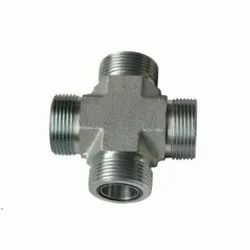 Thread Size 1/8" - 2"
Seal-Lok tube fittings (also known as a flat face, O-ring face seal or ORFS fittings) have been proven to be very effective in eliminating leakage at higher pressures found in today's hydraulic systems. 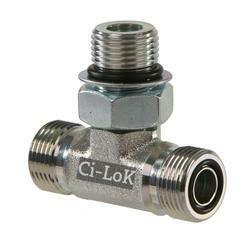 Seal-Lok fittings meet or exceed the requirements of SAE J1453 and ISO 8434-3. We are the leading manufacturer of ORFS Elbow. We also export world wide.